We are looking for a Treasurer! Imara is a small charity at a pivotal moment in its development. Having recently won a tender and with a newly constituted board of Trustees, we seek committed, skilled financial governance. 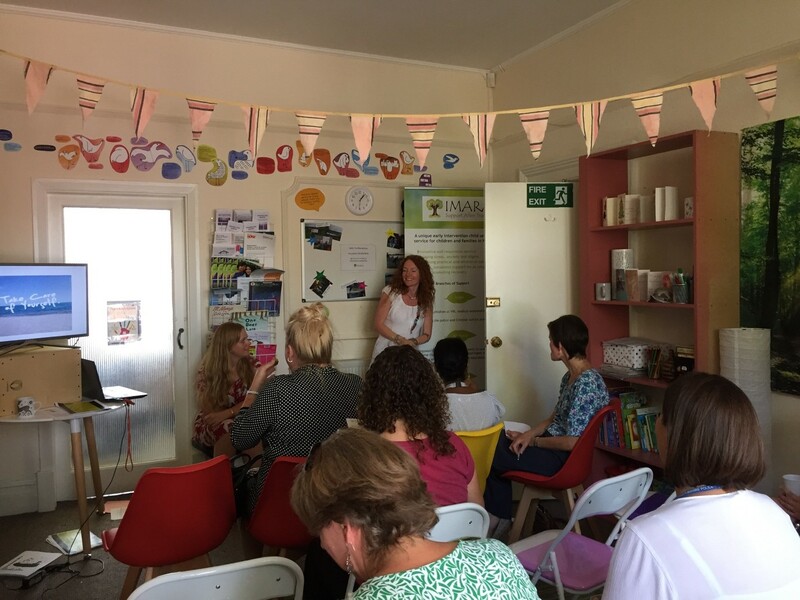 Imara is a specialist early intervention service for children and teenagers following a disclosure or discovery of child sexual abuse. We also support safe family members e.g. parents, siblings recognising that a disclosure is a shock that is felt throughout the whole family and community. We offer clients advice, information, advocacy and therapeutic support throughout the Criminal Justice Process and beyond, for a minimum of 12 months. Referrals to our service come directly from the East Midlands Children and Young Persons Sexual Assault Service. We work closely alongside other organisations involved in safeguarding children, young people and vulnerable adults. Take a look at our YouTube Videos to give you a better picture of what our work looks like. We are looking for a Treasurer to join our newly constituted and vibrant board of Trustees and to help steer our financial forecasting and strategic development as we begin to diversify our income streams. The successful Treasurer will have the necessary financial skills and experience to become Treasurer and also have some spare time and interest in providing to supervision and mentoring to our Finance Manager, who holds responsibility for several grant awards, requiring her to ensure the smooth running of financial risk management across multiple budgets, it is a veritable jigsaw puzzle! We face a constant challenge to make the organisation sustainable and the Treasurer would have a key role to play in supporting us to diversify our income streams. We would benefit from someone with the experience and skills to advise on our strategic plans and how to manage the current risk, as well as helping with cost management. Our finance manager is looking forward to sharing her passion for numbers and accounting with someone who understands all the figures, like she does! You would join a Board that currently comprises 7 Trustees, one of whom, the current Treasurer, is about to stand down. They bring skills in Trauma, Health, HR, safeguarding, legal advice, education, campaigning, project management. We are also excited to be making plans to set up a young advisor’s panel, from our client group, to support the work of the Trustees through the expertise they have gained from their experiences and their journey through Imara. Our ideal trustee has a good understanding of charities and the role of trustees within charities. They are passionate about empowering children and young people, particularly those who have faced a tough time in their childhood years and wish to bring their financial wizardry to make a difference to Imara and strengthen its potential not only to continue its work, but also to grow as an organisation. They can communicate well, not only around numbers, but also words and they can act as a translator of the mysteries of accounting to those of us who go a bit blank around numbers. They will also be someone who enjoys a partnership with our finance manager, supporting her and presenting financial information to the Board and other stakeholders. The ideal trustee will be someone who champions the cause of the organisation, supports our vision to promote recovery of children and young people and is able to commit themselves to offering not only time, but interest, enthusiasm and a desire to help us make a difference. You will be a good team player who can work alongside Imara employees, young people and vulnerable adults, as well as the Board to provide good governance, both as Treasurer and also as a team player within the Board of Trustees. You will have strategic financial acumen, advising and guiding the financial manager to produce effective budgets and to manage the accounting in an efficient manner. You will bring knowledge of the business world to support Imara to network wisely as a Charity and to make the most of opportunities to widen our income streams. We need your help as we want to grow our organisation to reach a greater number of children and teenagers, both locally and regionally. We have been over reliant on grant aided funding and we know that this exposes us to greater financial risk. Our Finance Manager does a great job of juggling our income, supporting Directors with budgets for grant applications and promoting commissioned work and fundraising. She carries an enormous responsibility however and would benefit from the oversight and mentoring from a motivated and passionate Treasurer who would understand the challenges she faces and support her by translating the financial overview to the Trustees and the Board. 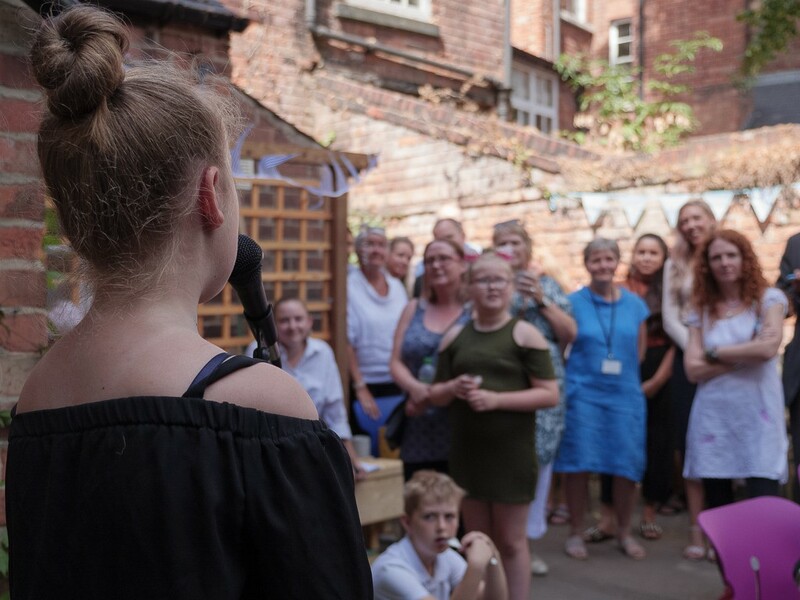 Beneficiaries will benefit if Imara can continue its unique support and increased income will allow us to fill more of the gaps that are very apparent locally, for example we are the only specialist service in Nottingham City for children under 13 years. It is also possible that there are other investment opportunities or capital proposals that could benefit the organisation that we haven't considered, but that an experienced Treasurer from the business community could seize those opportunities for us. Satisfaction of supporting a small charity, which is punching above its weight, and making a significant difference to some of the most vulnerable and exploited children in our society. You will be working with a small dedicated friendly team who are passionate about the work that they do and manage to have fun in spite of the seriousness of the work. This reflects the resilience of the children and teenagers we work with, and the amazing qualities they bring to their recovery. 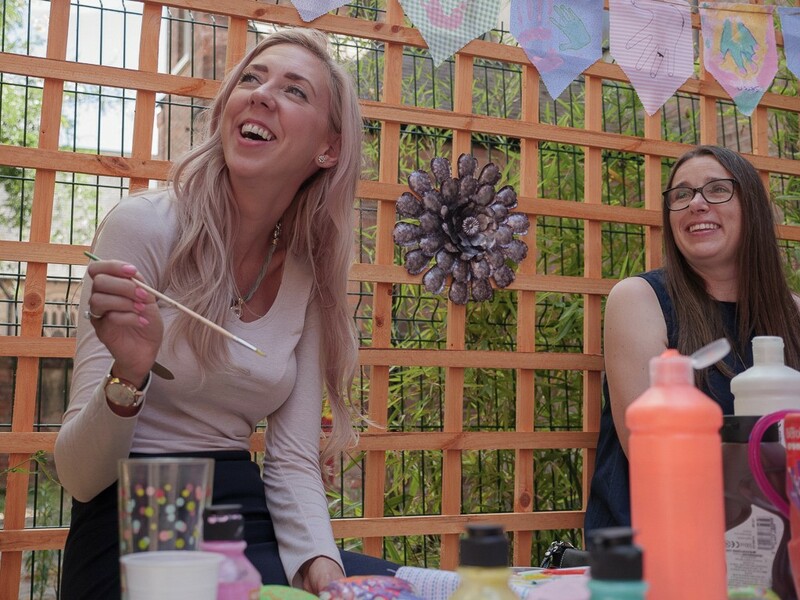 As a volunteer within such a small charity, you will have lots of opportunities to really make a difference and have the scope to use your initiative to be creative and responsive. 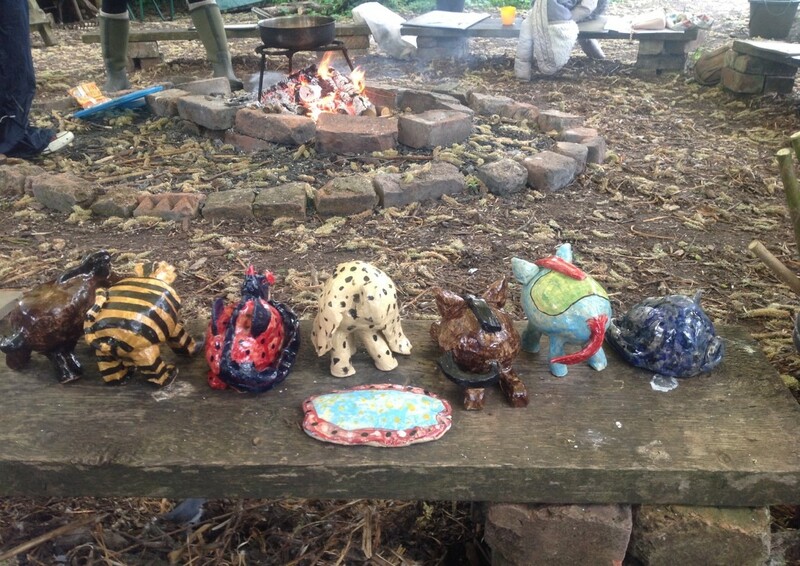 Clay animals made by our girls client group, down at the St Anns Community Orchard. We are based in Nottingham city centre and the premises are well served by public transport. We have developed good partnerships with local voluntary and statutory organisations and we actively seek out exciting opportunities for our client group, e.g. taking part in national research. We are currently setting up a young advisers group, who will feed in their ideas to the Board of Trustees. Our young advisers have real commitment to making a change for other children and to making a difference. Please contact Cath Wakeman, Director, on 07503516752 or cath.wakeman@imara.org.uk for more details, or to arrange an informal visit. If you are interested, please send an email to info@imara.org.uk with your CV and a cover letter explaining why you would like to be a Trustee with us.